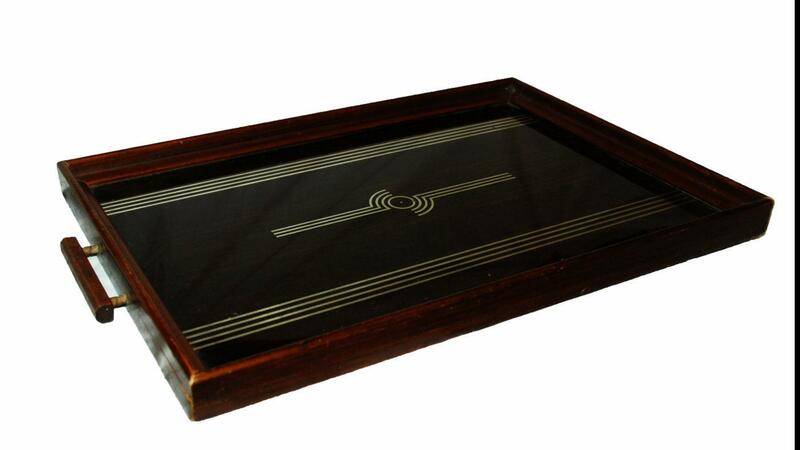 THIS IS A UNUSUAL AND CLASSIC ART DECO PATTERNED SERVING TRAY. 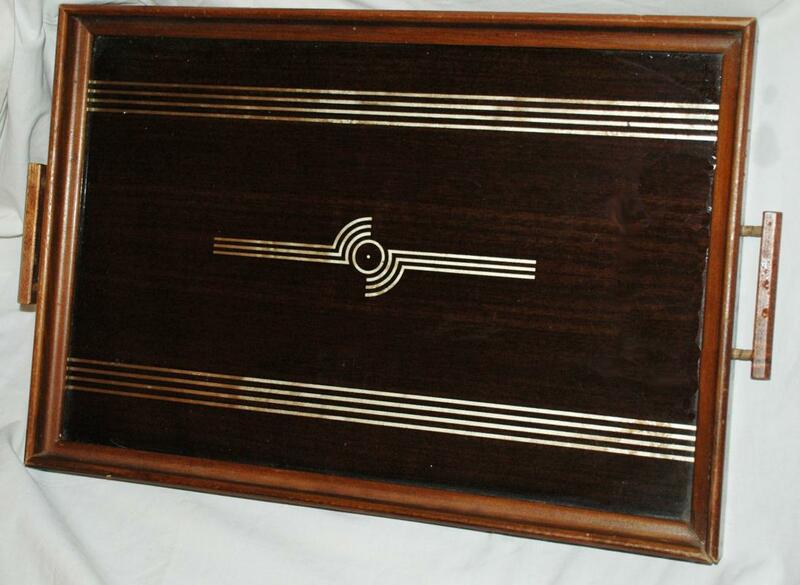 THE WALNUT COLORED WOOD HANDLES AND FRAME HOLD A REVERSE MIRRORED FINISH DECO DESIGN ON CLEAR GLASS WHICH IS BACKED BY A WALNUT VENEER BOTTOM PANEL.THE WOOD FRAME IS IN VERY GOOD CONDITION WITH A FEW MINOR NICKS IN THE WOOD. 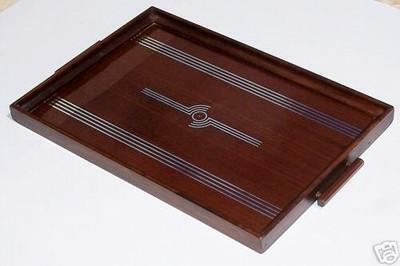 IT IS 19"X13"X1.25". 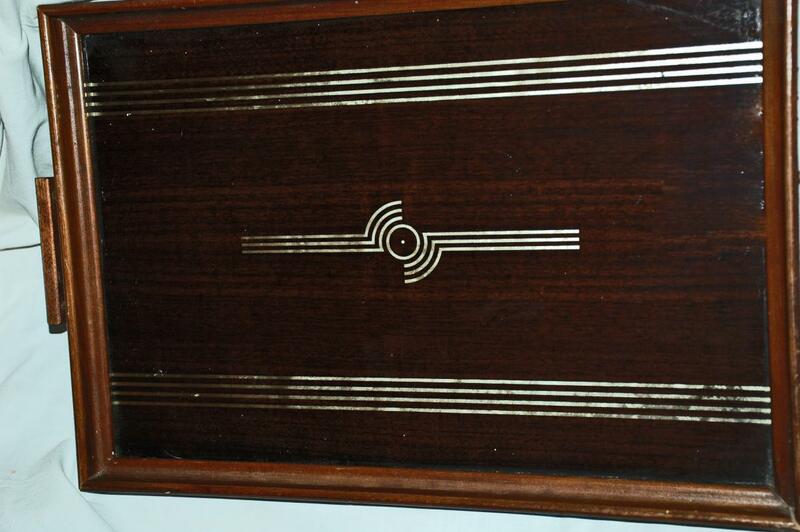 Items Similar To "ART DECO MIRRORED PATTERN SERVING TRAY/'30'S"